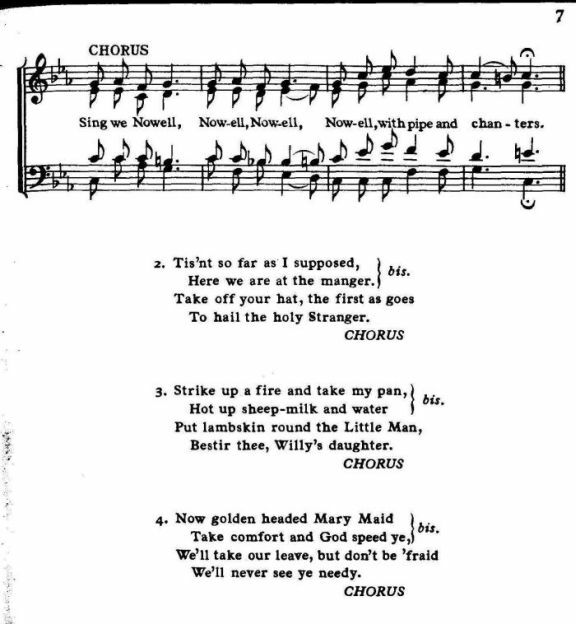 Source: Richard Runciman Terry, Two Hundred Folk Carols (London: Burns Oates & Washbourne Limited, 1933), Carol #81, pp. 6-7. Wake up a din of glory. 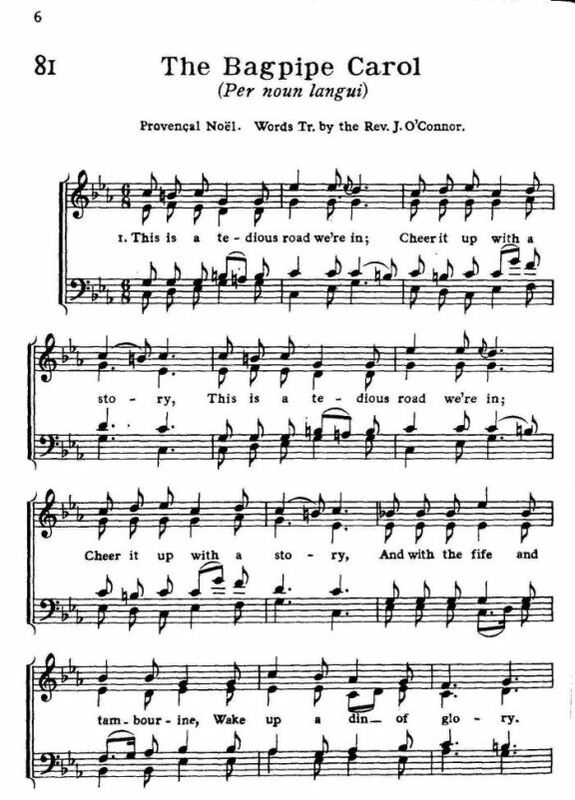 Nowell, with pipe and chanters. Here we are at the manger. To hail the holy Stranger. We'll never see ye needy. Sheet Music from Richard Runciman Terry, Two Hundred Folk Carols (London: Burns Oates & Washbourne Limited, 1933), Carol #81, pp. 6-7.